This 1-month proposal is the Part 2 of the French part of the student adoption plan: reinforce the implementation of Smartcash in the EDHEC Business School and beyond. It's a full communication campaign done in April during the biggest student event in Europe: the CCE. As all smarties our final long-term goal is to achieve global adoption. We already highlighted the importance of student adoption in this process. They are naturally opened to new technologies and will be tomorrow's leaders. With this proposal I’m following my work on the student adoption in my Business School: the EDHEC Business School. Right now, we're focusing on building rock solid foundations in this Business School because it's a Top 5 French Business School with a lot of network. From there we'll expend to other major schools in France, and finally connect with others around the world. What has been accomplished so far ? 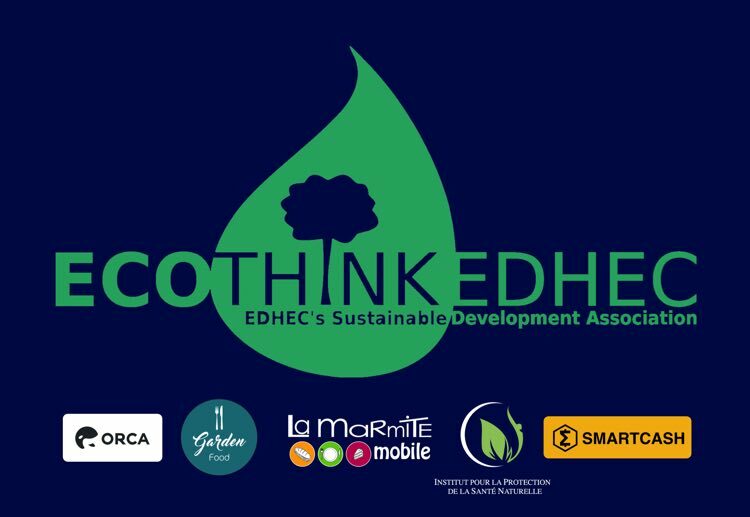 Together we made a crypto-currency - Smartcash - sponsor 2 students association in France, for the first time ever: Smartcash is officially sponsoring the Ecothink and oikos assocations. Now, Ecothink is the headquarter of Smartcash in the Business School, pursuing the goal of achieving massive adoption. The Ecothink asso just created the design above. It will be printed on the back of the association jackets and we'll have them at the CCE to represent the asso in front of other students associations. I also did a conference in my Business School explaining why Smartcash was a sustainable crypto-currency: the community fund makes massive adoption very beneficial to all. Reinforce Smartcash presence in EDHEC by targeting influencers: contact the 60 presidents of the 60 student associations of EDHEC and offer them 1000 Smart each. This will directly make them Smartcash adopters, and because they are leaders of their asso, they will then spread the word around them. Plus I’ll do 3 SmartTalks where I will talk about Smartcash with students in small groups. I’d offer mugs and T-shirts to attendees. Go viral on social media thanks to a giveway to build more awareness in the EDHEC student network and beyond. 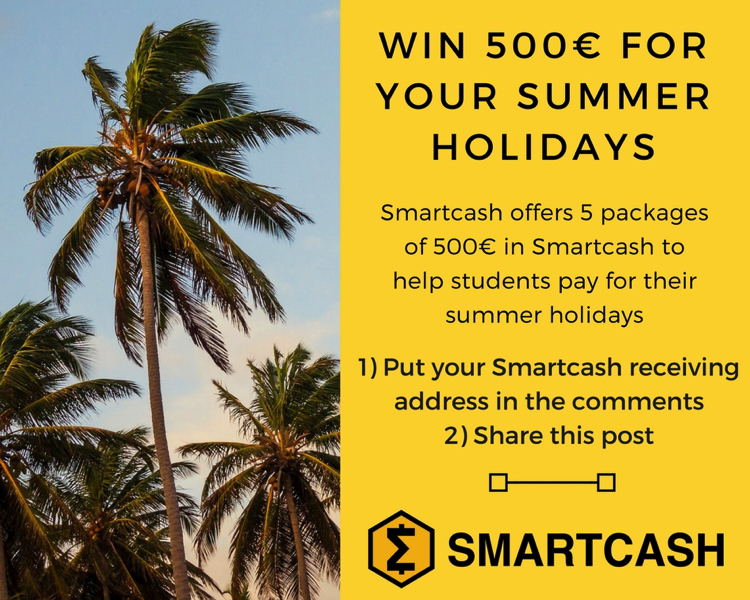 I’d like to offer 5 times 500€ in Smartcash to pay for the Summer Holidays of 5 lucky students. To be eligible for the 500€ giveway, the person would have to put his Smartcash receiving address on the comment section + share the giveway post on FB. 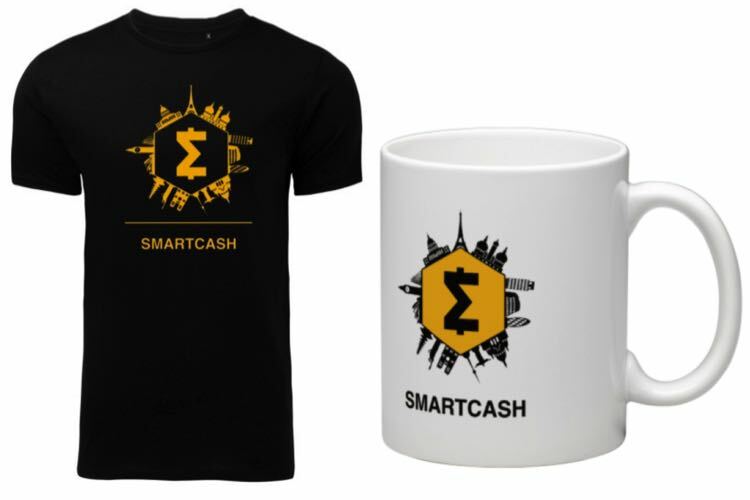 To make it easy to understand for non-crypto people, I’ll make a video tutorial and add some text to the post linking to Smartcash's website. Something like: "Create a Smartcash wallet FOR FREE at https://smartcash.cc/wallets/ and SHARE THIS POST to be eligible for the 500€ giveway." For choosing the winners I’ll just pick 5. Like printing all names on a paper, cut it in small pieces and pick 5 blindly. I may do it live, record it and bring some people with me for this, so they see it’s fair. This thing should go viral as a ton of student should want to be part of it to win the money. I expect 100% of people seeing it and 30% of people creating a Smartcash address and sharing the post so it’d be about 1000 students. 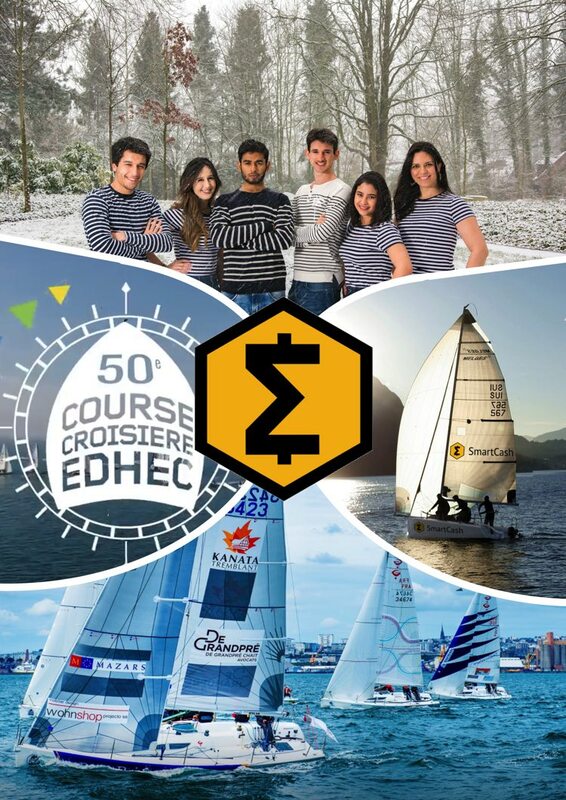 Make students understand that Smartcash is truly part of the student life by exposing some big Smartcash logos on our boat at the biggest student event in Europe: the CCE. It’s a famous boat race in France gathering about 3500 students from various graduate schools. We’d expose 3 big Smartcash logos on our boat and the Ecothink association members and myself will distribute about 2000 flyers to the students at the event to tell them to go on FB to be part of the giveway. I expect to get 100% awareness during the event + get good pictures for media coverage. In one word, we'll make Smartcash the sponsor of this huge sport event and deliver a full marketing campaign. We'll use this rare occasion to build massive awareness and multiply the impact of the giveway and the influencers. There is a little mistake: the giveway payment should occur the 5th of May not of April.